TL; DR: How did the World Wide Web, this creation we hardly notice — yet couldn’t live without — come to be? Starting with a software program that helped him track his research, British physicist Tim Berners-Lee created foundational technologies that enabled computers to connect with each other to share data. The first advocate for open-source information, Tim created the World Wide Web Consortium, or W3C, to protect the fledgling web from corporate interference. Now, W3C standards impact everything from web development and smart devices to the automotive and entertainment industries. Tim and the W3C, in addition to several partnerships and advocacy organizations, continue to push for open and equal web access. For such an immense, important technology, the World Wide Web was invented with modest, practical aspirations. Tim Berners-Lee wanted a system to connect research files on various computers. During a 6-month stint as a software consultant at CERN, the European Particle Physics Laboratory in Switzerland, Tim wrote a “memory substitute” program in 1980 that linked various files on his computer. That software, called Enquire, formed the basis for the World Wide Web — a monumental innovation that makes the modifier world-changing seem like an understatement. Drawing comparisons to Johannes Gutenberg’s revolutionary printing press, Tim created and nurtured the web in the early ’90s to be an intuitive, open network for the world to navigate. More than 25 years later, he still advocates for the web through a joint venture consortium, the World Wide Web Consortium, or W3C. The World Wide Web is the fastest-growing communication medium, according to The Guardian. Broadcast radio needed 38 years to reach 50 million users; television took 13 years. The web got there in four. In March 1989, Tim submitted a proposal based on Enquire that argued for developing a new way of sharing information over the Internet. Physicists coming to CERN would bring their own computers and programs, making the data quite isolated from other research projects. Tim’s proposal would alleviate that problem. After creating the web, Tim Berners-Lee formed the W3C to protect global standards and accessibility. Amusingly, the proposal wasn’t immediately accepted — Tim’s boss wrote “Vague but exciting” on the cover, according to the World Wide Web Foundation. He eventually relented, and the world’s first website and server went live in December 1990. Enquire relied on hypertext, a concept discussed as early as 1945, which linked documents on the same computer. To make a global web possible, Tim and his colleagues developed language for encoding documents (hypertext markup language, or HTML), a system for linking documents (hypertext transfer protocol, or HTTP), and the method to locate files (universal resource locator, or URL). The first publicly available HTML included 18 tags, or elements, many of which strongly resembled SGML, a widely-used method for marking text into structural units such as headings, paragraphs, list items, and more. Eleven of the 18 elements still exist in HTML. Equally simple, the first version of HTTP had only one method, GET, which would request a page from a server. URLs combined the pre-existing system of domain names with file path syntax. Tim’s original web browser also enabled users to edit webpages — no one needed permission to add something to the web. Instead of a small group of experts adding and controlling content, he insisted the World Wide Web should be open and free of any regulating authority. CERN put the World Wide Web software in the public domain in 1993 and released the next version with an open license, maximizing accessibility and enabling the web to flourish. As the burgeoning web began to thrive on a global scale, corporate influences threatened the decentralized, widely accessible network Tim envisioned. By making web technologies proprietary or commercial, large companies could greatly influence who could access webpages and what information could be shared. Life as the web’s caretaker became a challenge for Tim at CERN, which existed for high-energy physics experiments and not overseeing burgeoning Internet applications. Tim continued his advocacy for an open, sharable web at Massachusetts Institute of Technology, whose Laboratory for Computer Science provided the resources for an organization Tim called the World Wide Web Consortium. By helping set the technical standards for the web, the W3C can support and safeguard the network’s collaborative environment. The W3C is currently hosted by MIT, the European Research Consortium for Informatics and Mathematics, Keio University, and Beihang University. W3C works with representatives from more than 400 member organizations — including tech giants Apple, Google, and Microsoft, along with dozens of universities, manufacturers, retailers, and government organizations — to create a vendor-neutral forum for exchanging ideas and creating the standards that steer web technologies. The W3C’s standard released in November 2016 established HTML 5.1 the latest version of the language. Some of the W3C’s standards aren’t terribly remarkable to common web users. Even though many don’t know that HTML 5.1 is the new standard, recently unveiled tags such as <picture>, <summary>, and <details> will add new features to their browsing experience. Most developers know W3C as the champion for proper use of coding languages, such as HTML and CSS, but the organization also specifies formatting practices for PNG and SVG graphics, along with audio, video, accessibility, internationalization, and mobile guidelines. Government agencies and banks around the world turn to W3C for security and privacy standards, as do Target and the National Association of Convenience stores. As various companies use the web to develop rich, interactive experiences for customers, the W3C maintains the global standards behind streaming TV shows, in-car entertainment systems, smart TVs, and the privacy of medical records. Tim and the consortium’s influence has continued to spread along with the web technologies they oversee. In 2009, Tim established the World Wide Web Foundation to advocate for web improvement and global availability. 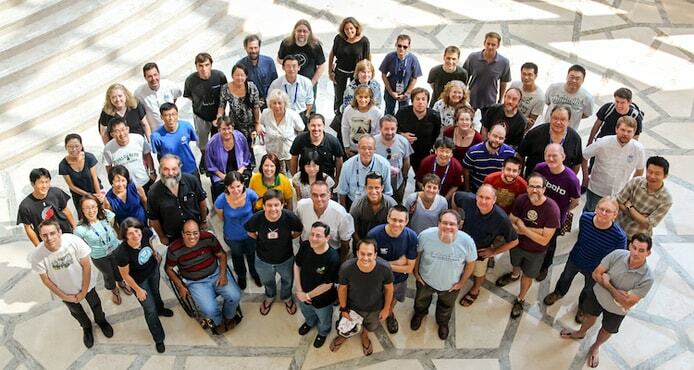 Four years later, the W3C joined other online standards organizations to form the unified OpenStand principles. Partners include the Institute for Electrical and Electronics Engineers, the Internet Society, the Internet Engineering Task Force, and the Internet Architecture Board.